More than 2,000 UCSF physicians and staff work side-by-side with the dedicated employees of the San Francisco Department of Public Health. UCSF medical students, residents and fellows rotate through the VA which provides nearly one third of all of the University's medical training. The UCSF Medical Center is made up of three medical centers, at the Parnassus, Mount Zion and Mission Bay campuses. 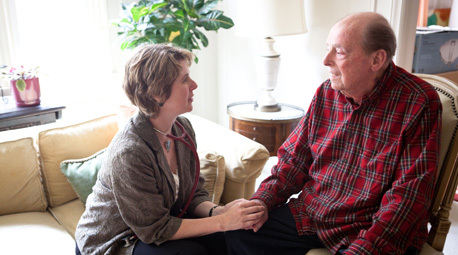 At UCSF, we provide a wide-range of clinical services, caring for every kind of cardiovascular disease. Our mission at Zuckerberg San Francisco General Hospital is to provide the best possible care to all patients with cardiovascular disease, make important research discoveries that benefit patients and offer the best training for cardiology trainees. At UCSF, we provide a wide-range of clinical services, caring for every kind of cardiovascular disease. Our clinicians are world-renowned experts in all areas of cardiovascular disease, covering general cardiology and every sub-specialty in cardiovascular medicine. The cardiology division at ZSFG has a highly successful program in research and discovery. Much of this research is funded through highly competitive peer-reviewed grants, primarily from the National Institutes of Health.